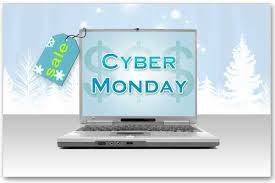 Apparently it’s Black Friday tomorrow and Cyber Monday on Monday…. If you don’t know what that means, don’t worry – it’s much better than the names suggest. 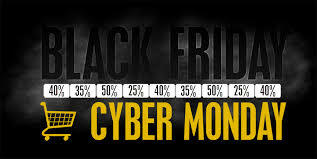 Those of you from across the pond will know that Black Friday originated in America – it’s the day after Thanksgiving, the day when people traditionally start to think about their Christmas shopping. So back in the 1930s and 40s some high street shops began to offer great deals to encourage customers to buy early. 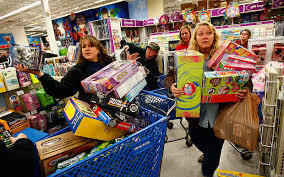 According to the BBC, the term Black Friday was originally coined as a reference to a New York Stock Market crash in 1869, but came into use as a national term with its current meaning in America in the 1990s. It’s a bit of an odd name, with its connotations of disaster, for a day that spells such opportunity for bargain hunters, but despite efforts to change it to Big Friday in the 1960s, the name has stuck. 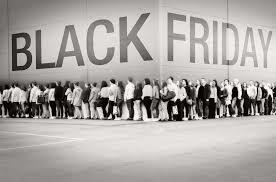 And Black Friday is undoubtedly the biggest shopping day of the year in the US. Now, mainly thanks to Amazon and other online retailers, Black Friday is big in the UK too and there are some amazing deals to be had, many in the world of electricals. 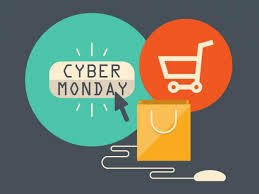 Cyber Monday began as an online version of Black Friday, but as Black Friday is online too, the whole weekend has become a bargain bonanza. This year, UK analysts are expecting sales on Black Friday to be the highest ever, with Visa predicting an increase in spending of 22% on last year, as customers are expected to spend £6,000 per second on their cards tomorrow. Many offers have started online already (Amazon), others begin at 00.01am tomorrow (Apple) and many stores will open early in the morning (John Lewis, PC World, Asda all open at 8am), while others are opening at midnight tonight (Game, Argos). It’s also worth noting that the biggest retailers will ship internationally, so with the weak dollar and deeper discounts in the US, you may find the best deals are on American sites. 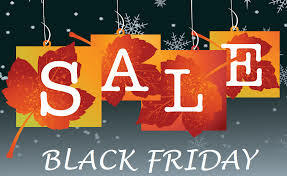 So set your alarm, dust off your credit card and bag some bargains. Beware of getting carried away – there are still 4 weeks to go! This entry was posted in Comment and tagged Amazon, Apple, bargains, Black Friday, Cyber Monday, online shopping, Thanksgiving by fingertips2013. Bookmark the permalink.